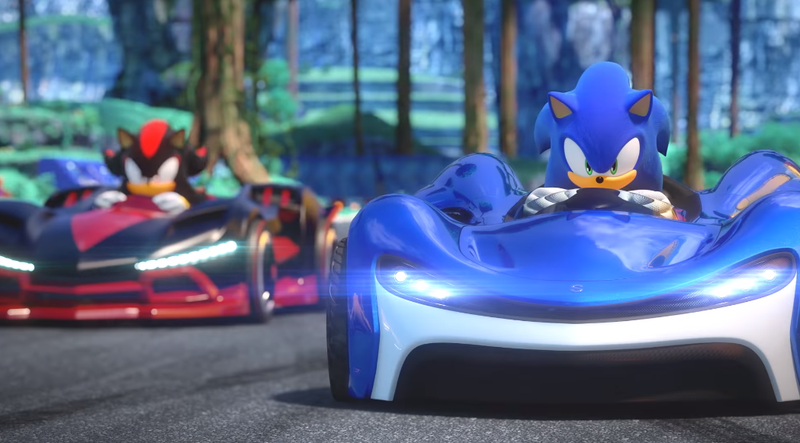 Although this game has just been planned to be publish on May 21, Team Sonic Racing still attracts Sonic Game addicts worldwide. It is a kart racing game, which is a spinoff from the series of Sonic the Hedgehog. To play this game, players will compete in a sport car race competition, controlling one of 15 characters from the series. Although kart racers are no longer strange to players of Sonic Games, this Team Sonic Racing is different. It mainly focuses on cooperative gameplay, when the player needs to join in a team of racers. They can only win with an effective strategy but not speed. Players can use some modes for this game, including a tutorial in the form of a story-driven campaign, customizing the racing rules, time trials, and competing for points. The developer of this game is Sum Digital, who also worked on Sonic & All-Stars Racing Transformed in 2012 and Sonic & Sega All-Stars Racing in 2010. They made use of the team base Sonic Heroes in 2003 to refer, with the help of producer Takashi Iizuka and Sonic Team head. This game only features characters from Sonic to be outstanding from other racing games. Musician Jun Senoue contributed as the soundtrack composer. When players progress during the game, new parts or accessories will be unlocked for them to customize their vehicles. With the parts, players can modify cars’ handing, top speed, defense, boost or acceleration. There can also be adjustments for horn sounds and paint jobs. This game support from 4 to 12 players online. There was information about the game in January 2018, with the leakage of a Sumo Digital memo. 4 months after, Sega officially confirmed the news and informed the release of this game on May 21, 2019 for Xbox One, Windows, PlayStation 4, and Nintendo Switch. This game is expected to bring many exciting and new experiences for players, so don’t forget to check it out!